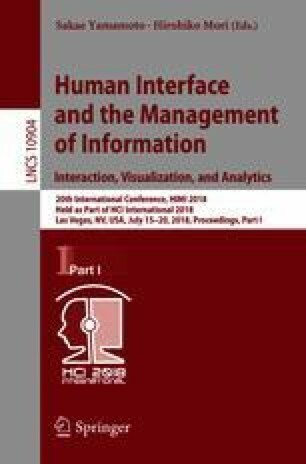 In this study, we examined the effect of different types of behavioral strategy on performance as well as on behavior in three types of different information representation method such as real task environment, VR-based task environment, and MR-based task environment in order to identify some features that enable to be applied for performance-based/behavioral-based measurement for the characterization of the SoE and its sub-components. As the results, we found that there was a significant difference in task performance such as time completion time, and parameter of time-to-collision distribution, as well as on user behavior such as decomposed motion data. This work was supported by the Grant-in-Aid for Scientific Research (B) from Ministry of Education, Japan, Grant Number: 17H01782.